In 2017 Qualcomm launched an petition for an iPhone import ban, complaining that Apple had violated some 16 patents through its use of Intel modems. 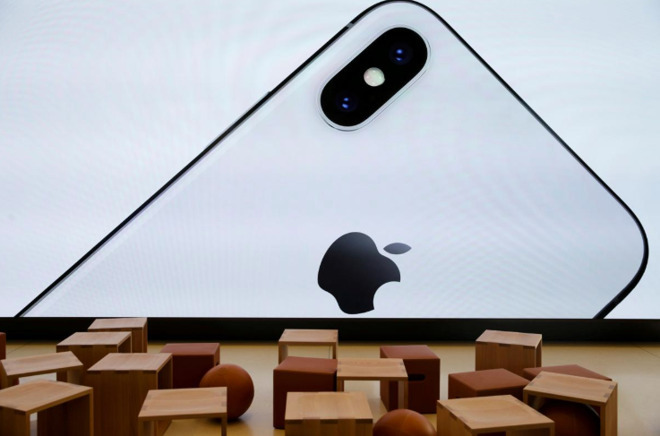 The ITC eventually found Apple in infringement of one of the patents, but declined to impose a ban -- that prompted a call from Qualcomm for a review, the matter which will be ruled on tomorrow. Qualcomm says it's the global leader in 5G development and was the only CDMA developer. Both will end up being standards so why should Qualcomm be able to force high patent payments on standard's patents? It's like having only one gasoline company while forcing all vehicles to only use gas. (This is practically what's happening right now.) The patents in question aren't that big of a deal and definitely aren't worth the type of cost customers end up paying. It's also the other, non-modem-related patents that Qualcomm is going after with that really make me mad. As everyone is saying, let's have some patent reform. Pay the real designers the money and stop allowing patent trolls to keep extorting money for little things that really don't mean much. If they did, the original patent author would still have an actual product. How do you define a greedy a***hole? Perspective; a sophist’s sit com. The other part to this is that if they are allowed to continue to own patents to a standard and charge whatever they want for license they maintain a monopoly. This is in an industry where their chip makes up a small part of the total device or even of its function. At the same time other companies are spending trillions to buildout networks and infrastructure to support the standard. Qualcomm: We only have a US monopoly, and we need a global monopoly (which Apple is interfering with) otherwise a foreign company might have that global monopoly in the future. Judge, are you Pro Business? Pro USA? Or, a commie stooge? The world is full of patent encumbered standards: the codec H.264 is a well known example and in this case Apple is one of the patent owners. Getting paid for their patents (or patent sharing) isn’t going to make them players in 5G. Cisco is a player though in infrastructure. Apple just wants a cheep 5G modem, and Qualcomm has already killed off the competition. Hoping that the US ITC understands that competition is especially vital in emerging technologies, even when that gets messy (remember the 56K standards, and the many format wars before or since?). Standards should emerge over time, not be forced through monopoly. Trump needs to end his war on Huawei. Qualcomm would come begging. But now Trump is effectively handing these crooks a monopoly. We see how unregulated government protected monopolies work in the drug industry. We don't need one in 5G.